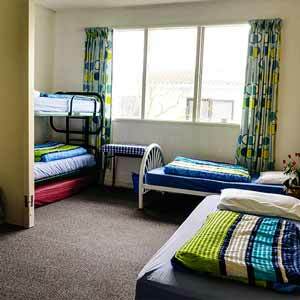 Our shared mixed dorms are facing the sunny garden. There are single beds available as well as comfortable bunk beds. The rooms are spacious. Access to garden, game room and communal areas is close by. The bathroom facilities are shared. If you have a lot of luggage you find additional storage in our luggage room. Bedding is provided. You get free WiFi. 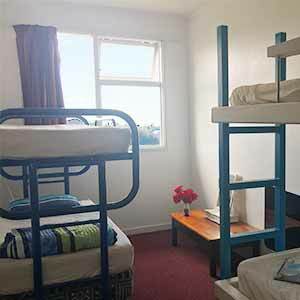 6 bed female room, a quite spacious tidy dormitory for ladies. The sunny garden is just on the opposite side of the corridor. Bedding is provided. Enjoy your joyful nights with free WiFi. 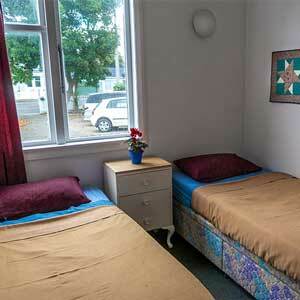 These Single rooms are quietly located. They come with a single bed as well as a desk. The bathroom facilities are shared. Bedding is included. 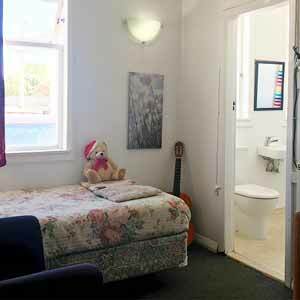 The room provides privacy in a nice environment for low cost. Relax in your chair and have a good sleep! You get free WiFi. 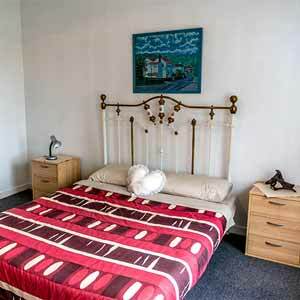 This twin room is furnished with two comfortable single beds. 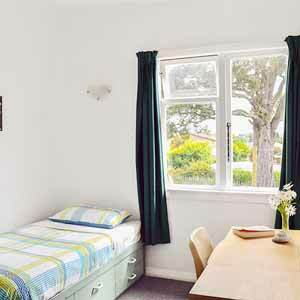 Bedding is included as well as access to the communal areas, the kitchen and the shared bathrooms. You get free WiFi. 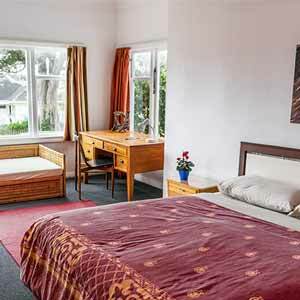 Our double room offers garden and mountain views. The room is spacious and sunny. It’s nicely furnished with a double bed, night tables, a wardrobe, chairs and a writing desk. Bathroom facilities are shared and close by. Bedding is provided as well as free WiFi. The spacious and sunny family room is located towards the garden. The room is furnished with a double bed, a single, a bunk bed and an antique dresser with a matching mirror and a writing desk. The bathroom facilities are shared. If required, another bed can be added. You get free WiFi.